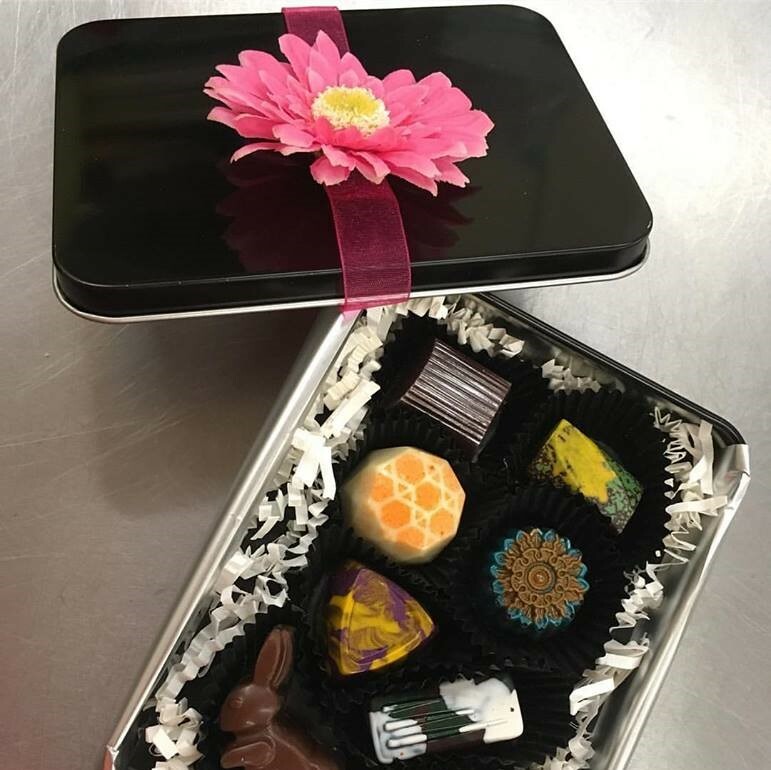 Luxx Chocolate makes award-winning handcrafted chocolates in Ridgewood, NJ and was voted one of the BEST Chocolatiers & Confectioners in America, 6-Star Grand Master in 2017. Luxx makes decadent chocolate creations, mostly in dark chocolate, influenced by local and seasonal ingredients and with an eye on healthful balance and ingredient pairings. They are different in every way from the ordinary. Look to Luxx Chocolat for items like Love Pops, studded with six super foods, dark artisan chocolate collections, dulce de leche, four kinds of crazy marshmallows, Hot Choxx hot chocolate on a straw and more! They use fresh, local, organic and seasonal ingredients with no preservatives or artificial flavors. Luxx Chocolat is perfect for gift-giving, kids' treats and small indulgences for yourself.